Dr. Hoffman is Associate Clinical Professor in the Division of Infectious Diseases. She completed medical school at UCLA and a combined Internal Medicine and Pediatrics residency training program, as well as a Master of Public Health degree, at Harvard University. Following training in adult Infectious Diseases at UCLA, she joined the UCLA Division of Infectious Diseases as a faculty member in 2010. Dr. Hoffman’s research focuses on HIV co-morbidities, as well as on the implementation of HIV service delivery in resource-limited settings. She has performed collaborative research with teams in Malawi, Zambia, South Africa, and Brazil, and for the past eight years she has served on the leadership team of a large PEPFAR/USAID grant that is a collaboration between Partners in Hope, a nonprofit medical center in Malawi, and the UCLA Division of Infectious Diseases. She is also a member of the International Maternal Pediatric Adolescent AIDS Clinical Trials Network (IMPAACT), participating as an investigator on randomized clinical trials focused on improving clinical treatment strategies for HIV-infected pregnant and postpartum women globally. In addition to research, Dr. Hoffman maintains a weekly outpatient HIV clinical practice in south Los Angeles at a federally qualified health center, works on the inpatient Infectious Diseases consultation service at Ronald Reagan Medical Center, and serves as an Associate Director of the UCLA Infectious Diseases Fellowship Training Program. As a junior faculty member she started a rotation in Malawi for Internal Medicine residents and helped to establish the Global Health Education Program, which she Co-Directed from 2010-2013. For her work in global health education, Dr. Hoffman received the Award for Excellence in Education in 2012. Sofia Gruskin directs the USC Institute on Inequalities in Global Health and founded its Program on Global Health & Human Rights at the University of Southern California. She holds an appointment as professor of preventive medicine and serves as chief of the Policy and Global Health division at the Keck School of Medicine of USC Department of Preventive Medicine. In addition, she is a professor of law at the USC Gould School of Law, affiliate faculty member with the department of American Studies and Ethnicity and Spatial Sciences Institute—both at the USC Dornsife College of Letters, Arts and Sciences—and serves on the USC Academic Senate Executive Board. She leads the USC Law & Global Health Collaboration alongside professors Alexander Capron and Charlie Kaplan from USC Gould School of Law and USC Dworak-Peck School of Social Work, respectively. A pioneer in global health and human rights, Gruskin’s work, which ranges from global policy to the grassroots level, has been instrumental in developing the conceptual, methodological and empirical links between health and human rights, with a focus on HIV/AIDS, sexual and reproductive health, child and adolescent health, gender-based violence, non-communicable disease and health systems. Her current partners include the World Health Organization, United Nations Development Programme, Global Fund to Fight AIDS, Tuberculosis, and Malaria, Open Society Foundations and local organizations and universities in Brazil, India and Vietnam. Haile T. Debas, MD, FACS, is recognized internationally for his contributions to academic medicine and is widely consulted on issues associated with global health. His career as a physician, researcher, professor, and academic leader spans over four decades in Canada and the United States. At the University of California, San Francisco (UCSF), he served as Chair of the Department of Surgery, Dean of the School of Medicine, Vice Chancellor, Chancellor, and Founding Executive Director of Global Health Sciences. He is the Maurice Galante Distinguished Professor of Surgery, Emeritus at UCSF and Director Emeritus of the University of California Global Health Institute. A native of Eritrea, Dr. Debas received his MD from McGill University and completed his surgical training at the University of British Columbia. He was a lead editor of the Essential Surgery volume of Disease Control Priorities, Third Edition (DCP3), published by the World Bank in 2015. Dr. Debas is a member of the National Academy of Medicine and a fellow of the American Academy of Arts and Sciences. He currently serves on the Board of Trustees of the Aga Khan University, has served on the Board of Regents of the Uniformed Services University of the Health Sciences, and was Founding Chair of the Board of Directors of the Consortium of Universities for Global Health. Michele Barry, MD, FACP, FASTMH is a Professor of Medicine and Tropical Diseases at Stanford University. She is also the Director of the Center for Innovation in Global Health and Senior Associate Dean for Global Health. As one of the co-founders of the Yale/Stanford Johnson and Johnson Global Health Scholar Award program, she has sent over 1500 physicians overseas to underserved areas to help strengthen health infrastructure in low resource settings. As a past President of the American Society of Tropical Medicine and Hygiene (ASTMH), she led an educational initiative in tropical medicine and travelers health which culminated in diploma courses in tropical medicine both in the U.S. and overseas, as well as a U.S. certification exam. Dr. Barry is an elected member of the National Academy of Medicine (NAM) and National Academy of Sciences since 2002. She has been selected for Best Doctors in America and currently sits on the NAM Board on Global Health. She is also the 2018 recipient of AMWA’s highest award – the Elizabeth Blackwell medal for creating pathways for women in medicine. With this breakout session, it is our hope to highlight individuals who have dedicated much of their careers to working with certain vulnerable populations. Whether through the work of highlighting the exploitation of migrant farm workers, understanding the healthcare delivery gaps present among indigenous peoples, or detailing the oftentimes unacknowledged pain and suffering in the form of mental illness left in the wake of war, our aim is for each of the speakers within this breakout session to share what their work has shown them so that we face these disparities and move towards meaningful change. Saiba Varma is an Assistant Professor of Anthropology at UCSD. She received her PhD in Anthropology from Cornell University in 2013. Since 2009, she has done extensive, long term ethnographic fieldwork in sites of mental health and humanitarian care in Indian-administered Kashmir, one of the most militarized and traumatized places on earth. Her book manuscript, Encountering Care: Medicine in a Zone of Occupation (under review, Duke University Press) examines what happens to care in contexts of violence and militarism. Her research has appeared in nationally and internationally recognized venues, including American Ethnologist, Cultural Anthropology, and Economic and Political Weekly. At UCSD, Saiba teaches courses on: global health and inequality; medical and psychological anthropology; humanitarianism; conflict and health; affects and emotions. Her courses and research are driven by feminist, anti-racist, and decolonial methodologies. Anmol Diwan is the legal fellow for the Program on Global Health & Human Rights at the USC Institute on Inequalities in Global Health. As a legal fellow, he is actively engaged in research and reporting of the existing legal and policy issues for prevention, protection and access to healthcare for people living with HIV, people living with tuberculosis and people living with malaria, as well as other vulnerable populations in Africa. He is also responsible for recommending changes in the strategic and policy framework of African countries by identifying human rights related concerns in the field of public health. A public interest attorney in India, Mr Diwan appeared before various courts in the country, including the Supreme Court of India and Delhi High Court, where he successfully represented clients in matters involving the banning of diesel-run vehicles, protection of consumers from bank fraud and protection of victims of domestic violence. He is also the founding director of a non-profit organization Nirabhrataa that is working to promote elder rights in India and support organizations which are engaged in grassroot activism for destitute and deserted elders. Mr Diwan graduated from the LL.M (Master of Laws) program at the USC Gould School of Law. His areas of interest include the rights of refugees & other displaced populations, with a special emphasis on access to health-related services and the right to access health education as part of school & university curriculum. Seth M. Holmes, MD, PhD, is a cultural anthropologist and physician who works on social hierarchies, health inequities, and the ways in which such asymmetries are naturalized and resisted in the contexts of transnational im/migration, agro-food systems, and health care. His articles and book, Fresh Fruit, Broken Bodies: Migrant Farmworkers in the United States, received national scientific awards in anthropology, sociology, geography and Latin American studies, including the Margaret Mead Award. Currently, Holmes conducts research on (1) the processes through which biomedical trainees learn to perceive and respond to social differences (2) the representations of and responses to refugees in Europe; and (3) the sociocultural processes through which indigenous Mexican immigrant farmworker youth navigate discrimination. In addition to scholarly publications, Holmes has written for popular media such as The Huffington Post and Salon.com and spoken on NPR, PRI, Pacifica Radio and Radio Bilingüe programs. Dr. Holmes is Associate Professor of Society and Environment and Medical Anthropology, Co-Director of the MD/PhD Track in Medical Anthropology coordinated between UC Berkeley and UCSF, Co-Chair of the Berkeley Center for Social Medicine, an attending Physician in Medicine at Highland Hospital and an active member of the Structural Competency Working Group. Carmen George [Navajo] is from a small community on the Navajo Reservation called Beclabito, NM. She has been working as COPE’s Monitoring, Evaluation and Research Manager for the Community Outreach and Patient Empowerment [COPE] Organization for the past 4 years. COPE is a non-profit out of Gallup, NM committed to improving the health of the Navajo [Dine] people through programs such as Water First, Fruit and Vegetable Prescription program, and Healthy Navajo Stores Initiatives. Working for the past 13 years on the Navajo Reservation has been rewarding and Carmen has seen small changes in the communities like children choosing infused fruit drinks over soda, which makes the public health initiatives worthwhile. Carmen enjoys spending time with her nephews, reading, going to movies and traveling. The state of of our environment directly impacts our quality of life and overall health. From the communities that we surround ourselves with to the natural resources that we depend on, our interactions build and shape the environment of our planet. Unfortunately, everyday there seems to be new research reports that highlight the damage that we are subjecting our planet and fellow humans to. How does the global community respond to infectious disease, injury, and disaster related to the interactions between people and their environment? With some of our speakers this year, we were hoping to highlight how the changing conditions of our natural and built environments have an impact on human health. Dr. Waxman is an Associate Professor of Emergency Medicine and Internal Medicine at the David Geffen School of Medicine at UCLA. He received a Diploma in Tropical Medicine and Hygiene at the Gorgas Course for Tropical Medicine in Lima, Peru. Dr. Waxman has been a residency director, and over the past decade has worked internationally with a number of NGOs. Dr. Waxman worked clinically in an Ebola treatment center in Sierra Leone during the 2015 epidemic and subsequently published research in The Lancet determining outcomes patients co-infected with Malaria and Ebola virus. Dr. Waxman most recently worked leading a trauma stabilization point in Northern Iraq during the Battle of Mosul in 2017. He currently serves as Medical Director of the NGO NYCMedics Global Disaster Relief which is assessing a WHO funded project in Yemen. Kristie L. Ebi is director of the Center for Health and the Global Environment (CHanGE), and Rohm and Haas Endowed Professor in Public Health Sciences at the University of Washington. She has been conducting research and practice on the health risks of climate variability and change for over twenty years, focusing on understanding sources of vulnerability, estimating current and future health risks of climate change, and designing adaptation policies and measures to reduce the risks of climate change in multi-stressor environments. She has supported multiple countries in Central America, Europe, Africa, Asia, and the Pacific in assessing their vulnerabilities and implementing adaptation policies and programs. She has been an author on multiple national and international climate change assessments, including the fourth U.S. National Climate Assessment and the IPCC Special Report on Global Warming of 1.5°C. Dr. Ebi’s scientific training includes an M.S. in toxicology and a Ph.D. and a Masters of Public Health in epidemiology, and two years of postgraduate research at the London School of Hygiene and Tropical Medicine. She has edited fours books on aspects of climate change and has more than 200 publications. 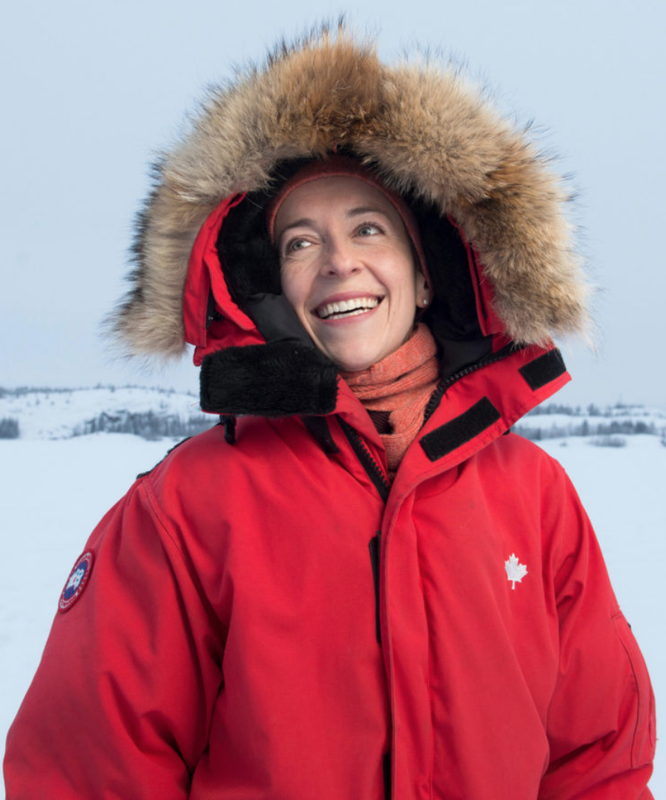 Dr. Courtney Howard is an Emergency Physician in Yellowknife, Canada’s subarctic. She was the first author on the 2017 and 2018 Lancet Countdown on Climate Change and Health Briefing papers for Canadian Policymakers as well as being the 2018 International Policy Director for the Lancet Countdown. In the latter role she had the honor of contributing to the Médecins Sans Frontières/Doctors Without Borders(MSF)-Lancet Countdown briefing paper, which brought her full circle, as it was work on an MSF pediatric malnutrition project in Djibouti, and stories of changing landscapes related by her Northern, majority-Indigenous patient population which led Dr Howard to the conclusion that the best way she can impact global health while living in Canada is to work towards a healthy response to climate change. In the pursuit of improved planetary health, Dr. Howard has done research on the health and environmental impacts of menstrual cups, as well as into the respiratory and wellness impacts of Yellowknife’s severe 2014 wildfire season. She led the successful campaign to have the Canadian Medical Association (CMA) divest its reserves of fossil fuels, and now sits on the CMA board. As board President of the Canadian Association of Physicians for the Environment (CAPE) she has been involved in work on active transport, plant-rich diets, integrating health impact assessments into environmental assessments, carbon pricing, coal phase-out, and the health impacts of fracking. She sits on the board of Health in Harmony, represents CAPE on the board of the Global Climate and Health Alliance, is on the steering committee of the Planetary Health Alliance, represented the voice of health at the Canada/UK “Powering Past Coal” announcement at COP23, and is involved in supporting the International Federation of Medical Students Associations in its #ClimateHealth2020 initiative, which aims to see climate change gain a foothold in medical curricula by 2020, with fuller integration by 2025. Dr. Amy Vittor is an Assistant Professor in the Division of Infectious Diseases and Global Medicine at the University of Florida, where she studies the interface between vector-borne disease, land use and host immunity. Influenced by a lifelong drive to understand linkages between ecology and global health, she conducted her doctorate in public health in the Peruvian Amazon studying malaria and deforestation. She continued to work in global health during her medical training, treating patients with HIV and tuberculosis in Botswana, Kenya and Panama. Returning to vector-borne disease research, she then studied dengue epidemiology in Kenya with the Centers for Disease Control and Prevention in Nairobi as a Fogarty International Clinical and Research Fellow, and embarked on a collaboration with public health officials in the Mekong Delta in Vietnam on dengue and climate change. Following a novel outbreak of Madariaga virus in the Darien region of Panama, she spent a year with the Gorgas Memorial Institute investigating potential animal hosts and human epidemiology. At present, she continues to study ecological and immunological drivers of arboviral emergence in the Darien region of Panama, and attends on the Infectious Diseases consultation service at Shands hospital at UF. Dr. Vittor received her BA from the University of California, Berkeley in 1997, her PhD in public health from the Johns Hopkins Bloomberg School of Public Health in 2003, her MD from Stanford University in 2007, and completed her internal medicine residency and infectious disease fellowship at the University of Pennsylvania in 2009 and 2013, respectively. She is board certified in both internal medicine and infectious diseases. The world is continuously changing and with this change comes innovative ideas to ultimately improve the quality and quantity of life. There is a vast amount of unprecedented challenges we face in the world that has brought about the need to design, invent, or develop innovative ways to approach such an endeavor. This session seeks to highlight some of the unique and innovative ideas that are emerging in the global health sphere in an effort to spark more interest and involvement in the topic. 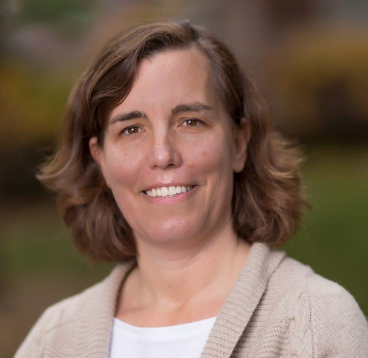 Suzanne Maman, MHS, PhD, a social scientist trained in public health, is a professor in the Department of Health Behavior in the Gillings School of Global Public Health. She has been developing, implementing and evaluating HIV and violence prevention programs in sub-Saharan Africa for 20 years. She has published over 140 papers with students and colleagues on her research related to HIV and violence. Findings from her research have informed WHO guidance and clinical tools developed to support women during the HIV testing process. She currently focuses on interventions that engage men in Tanzania on HIV and violence prevention. She has won numerous teaching and mentoring awards for her work with MPH and PhD students. Porter founded the Kyle House Group in 2010 after more than a decade of senior-level work in the political and international relations spheres. Prior to founding the Kyle House Group, Porter led the lobbying and policy activities of a boutique political consulting firm in Washington, DC. Porter has substantial experience working on global development and health issues, having represented several high-profile foundations, NGOs, coalitions, and celebrities. Porter has been a chief architect of lobbying and advocacy campaigns that resulted in multibillion-dollar increases in U.S. government funding for global development and health programs ranging from food security and nutrition to HIV/AIDS, malaria, vaccines and development finance. Porter also has advised a number of Fortune 500 companies on their corporate responsibility initiatives around the globe. The Kyle House Group advises and represents a number of leading foundations and NGOs in the global development sector, including the Bill & Melinda Gates Foundation, the United Nations Foundation, the Hewlett Foundation, and leading international NGOs such as Bono's organization ONE and CARE, among others. Specifically, we help lead various advocacy and outreach campaigns on topics including economic development, aid effectiveness, agriculture development, malaria, vaccines, clean water, nutrition, maternal and child health, etc. KHG also represents and advises a number of multilateral and international organizations on their policy, advocacy and partnership development agendas, including the Food and Agriculture Organization (FAO) Global Alliance on Vaccines and Immunization (GAVI), UNAIDS, and the Global Innovation Fund. Catherine Juillard, MD is a graduate of the UCLA School of Medicine and UCLA General Surgery Training Program. During her lab years, she obtained a master’s of public health at Johns Hopkins University and conducted research in Cameroon. She completed trauma and critical-care training at the University of California, San Francisco and co-founded the UCSF Center for Global Surgical Studies as a member of the surgical faculty. Her clinical work in trauma surgery has its roots in public health. As a former Peace Corps Volunteer who served three years in Senegal, West Africa, she witnessed first-hand the burden of disease due to trauma in low- and middle-income countries. This experience also allowed her to develop the skillset necessary to perform public health project implementation in culturally diverse environments. As an academic surgeon, her research focus has been improving trauma care in sub-Saharan Africa through the development of injury surveillance systems and trauma QI initiatives. She has conducted studies in Cameroon, Uganda, and Nigeria. A pilot trauma registry in Cameroon that her team developed generated a substantial amount of information on the patterns of injury, health utilization, and socioeconomic disparities in Yaoundé. This information has since been leveraged by partners in the Ministry of Public Health to successfully advocate for an Injury Committee in Cameroon. Her recent position as the Director of the UCSF Center for Global Surgical Studies (she held this position until she moved to UCLA) allows her access to multi-disciplinary collaboration through Center faculty, which includes a health economist, biostatistician, and health policy expert. Her background in public health, in combination with the professional relationships she has cultivated in sub-Saharan Africa, will allow her to fulfill her career commitment to reducing the burden of injury in sub-Saharan Africa. Through her team’s work in Cameroon, she is committed not only to a productive research collaboration, but also to use their findings to create change on a broader scale. Her partnership with the Ministry of Public Health provides the potential for replication and generalization of effective interventions. Ali H. Mokdad, PhD, is a Professor of Health Metrics Sciences at the Institute for Health Metrics and Evaluation (IHME) and Chief Strategy Officer for Population Health at the University of Washington. As a public health researcher, Professor Mokdad has published groundbreaking work on local-level disease trends and some of the leading risk factors for poor health. His work on obesity is among the most highly cited in the field. As Director of Middle Eastern Initiatives for IHME, Professor Mokdad builds IHME's presence in the Middle East through new research projects, dissemination and uptake of IHME's methods and results, and consultations with regional leaders in population health. Prof. Mokdad is the principal investigator for the monitoring and evaluation of the Salud Mesoamerica Initiative, which provides independent evaluation for the public-private partnership between the Mesoamerican countries, private foundations, and bilateral donors. This partnership seeks to reduce inequities in the coverage of basic health services among the poorest populations in Mesoamerica. He is also the principal investigator of “Visualizing the impact and cost of interventions on future projections of diarrhea burden,” whose goal is to provide 25 years of forecasting for diarrheal disease burden and a simulation for the cost-effectiveness of known and developing interventions. Prior to joining IHME, Prof. Mokdad worked at the US Centers for Disease Control and Prevention (CDC), starting his career there in 1990. He served in numerous positions with the International Health Program; the Division of Nutrition and Physical Activity; the National Immunization Program; and the National Center for Chronic Diseases Prevention and Health Promotion, where he was Chief of the Behavioral Surveillance Branch. He also managed and directed the Behavioral Risk Factor Surveillance System (BRFSS), the world’s largest standardized telephone survey, which enables the CDC, state health departments, and other health and education agencies to monitor risk behaviors related to the leading causes of morbidity and mortality in the United States. Prof. Mokdad has published more than 450 articles and numerous reports. He has received several awards, including the Global Health Achievement Award for his work in Banda Aceh after the tsunami, the Department of Health and Human Services Honor Award for his work on flu monitoring, and the Shepard Award for outstanding scientific contribution to public health for his work on BRFSS. Global Health is a truly expansive field of study, one that is often interdisciplinary and intersectional. As we become an increasingly globalized society, more knowledge is being gathered and shared with regards to health of the human population, from infectious diseases to mental health and chronic illness. The goal of this session is to recognize the heterogeneity and complexity of issues that influence the health of at-risk populations, and the various approaches that are being taken to address them. We hope to highlight some truly remarkable speakers whose work leverages the expertise of multiple disciplines in the pursuit of alleviating the burden of disease due to chronic and noncommunicable diseases. Corrina Moucheraud is an Assistant Professor in the Department of Health Policy & Management. She is a global health policy and systems researcher, focused on the question: How can we deliver high-quality, efficient, equitable, sustainable health services in low-resource, system-constrained settings? Dr. Moucheraud earned her Sc.D.,in Global Health and Population, at the Harvard T.H. Chan School of Public Health. She conducts both quantitative and qualitative research, including work with both primary data (surveys, interviews, focus groups, clinical observation) and secondary data, as well as economic evaluation research such as cost-effectiveness analyses. Her main areas of interest include HIV, maternal health, and non-communicable diseases, conducting research primarily in sub-Saharan Africa and has authored numerous publications. Paris AJ is a community-based multidisciplinary researcher trained in Journalism, Cultural Anthropology, Public Health Applied Biostatistics & Epidemiology, and Psychometrics. Her work seeks to increase quality of life for underserved communities through mixed methods research, development of surveys, assessments and technology, and the implementation and evaluation of innovative programs. Her current research involves developing culturally-responsive assessments that empower individuals, such as her five principles of self-care for Black women. She is the Founder & CEO of DataStories by Seshat, LLC, a research and data analysis company. Shahrzad Bazargan-Hejazi, PhD is the Professor of Medical Sociology in the Department of Psychiatry in College of Medicine at CDU/UCLA, the Research Director in the Psychiatry Residency Training program at CDU, Chair of the Medical Student Research Thesis Program at CDU/UCLA Medical Education Program, and the Interim Director of Faculty Development and Assessment at CDU. She is a member of the Global Burden of Disease collaborator network participation in the production, analysis, and improvement of the Global Burden of Disease, and has also collaborated in other projects related to the social aspects of disease and illness particularly among those affected by alcohol problems, mental illness, injury, and violence. In addition, Dr. Bazargan-Hejazi’s research interest revolves around the intersection of mindfulness, emotional intelligence, and social capital, and the way by which they built resilience and happiness. Dr. Bazargan-Hejazi is a prolific faculty publishing frequently and serving in several peer-reviewed journals’ editorial boards. Dr. Keith C. Norris is an internationally recognized clinician scientist and health policy leader who has been instrumental in shaping national health policy and clinical practice guidelines for chronic kidney disease (CKD). He has made major contributions to diversity, equity and inclusion while addressing disparities in contemporary society. His research interests focus on hypertension and CKD in disadvantaged populations. Other research areas include the role of Vitamin D and oxidative stress in health disparities, and enhancing community-academic partnerships. He was the a Principal Investigator for the multi-site NIH funded African American Study of Kidney Disease and Hypertension (AASK) and the AASK Cohort Study, the largest comparative drug intervention trial focusing on renal outcomes conducted in African Americans. Dr. Norris was the founding Principal Investigator for the first national translational research network dedicated to reducing health disparities, the NIH-Research Centers in Minority Institutions Translational Research Network. With his community partners he pioneered the nation’s first community faculty track at a medical school as a novel strategy to leverage community expertise and inculcate social determinants into health professional research and education. He directs several NIH research and training grants including the NIH Diversity Program Consortium Coordination and Evaluation Center at UCLA, the centerpiece of the NIH initiative to enhance diversity in the biomedical workforce. Dr. Norris has co-authored nearly 400 articles in peer-reviewed journals and book chapters. He serves as the Editor-in-Chief Emeritus of the international journal Ethnicity and Disease, a multidisciplinary journal focusing on minority ethnic population differences in health promotion and disease prevention, including research in the areas of epidemiology, genetics, health services, social biology, and medical anthropology. He also serves as a member of the editor board for the Journal of the American Society of Nephrology and the Clinical Journal of the American Society of Nephrology. Sudanese-American world-champion poet and author Emi Mahmoud has supported UNHCR’s work since 2016. She was appointed as a UNHCR Goodwill Ambassador in June 2018. Named one of BBC's 100 Most Inspirational Women, Emi co-founded an ongoing international Sickle Cell research initiative during her sophomore year at Yale and has since worked with President Obama, the Dalai Lama, the UNHCR, Gates Grand Challenges, The American Academy of Arts and Sciences, and more. Born in Khartoum, Sudan, before later moving to Yemen and the United States, Emi has used her talents to raise awareness on the refugee cause. Her works include Boy in the Sand, a poem dedicated to Alan Kurdi on the first anniversary of his death, Head over Heels, written in August 2017 to mark the announcement of the millionth South Sudanese refugee entering Uganda; and a full length book of poetry, Sisters’ Entrance, published in 2018. In March 2018, Emi visited Jordan, where she spent time with Syrian refugees in Zaatari and Azraq camps as well as some of the 81% living in urban settlements. This followed trips to Uganda - where Emi led poetry workshops - and Lesvos, Greece, where she spoke with Syrian refugees who had survived the perilous sea crossing from Turkey. A TED Speaker, award-wining slam poet, and author, Emi has repeatedly moved audiences to tears—and to their feet— at several high-profile events including at the UN General Assembly, The World Economic Forum in Davos, the Women’s Forum in Paris, Forbes 30 Under 30, The Youth Strategy 2030 launch at the United Nations General Assembly in New York and at the The Hilton Foundation Humanitarian Prize event. In 2018, she walked 1000km (620miles) in 30 days cross Sudan, mobilizing thousands of people along the way. In 2017, she hosted the first fully inclusive civilian peace talks in Darfur before starting the One Girl Walk. Emi combines continued advocacy and grass-roots activism to organize, motivate, and mobilize thousands toward change across the world. Online home of the first annual Los Angeles Global Health Conference, organized and sponsored by the UCLA Center for World Health, USC Institute of Global Health, and the Charles R Drew University of Medicine and Science. The conference will occur on Saturday Feb 6th.